Both are gorgeous, I like the second one best because of the ribbon at the bottom, it looks more complete! Have a good one!! 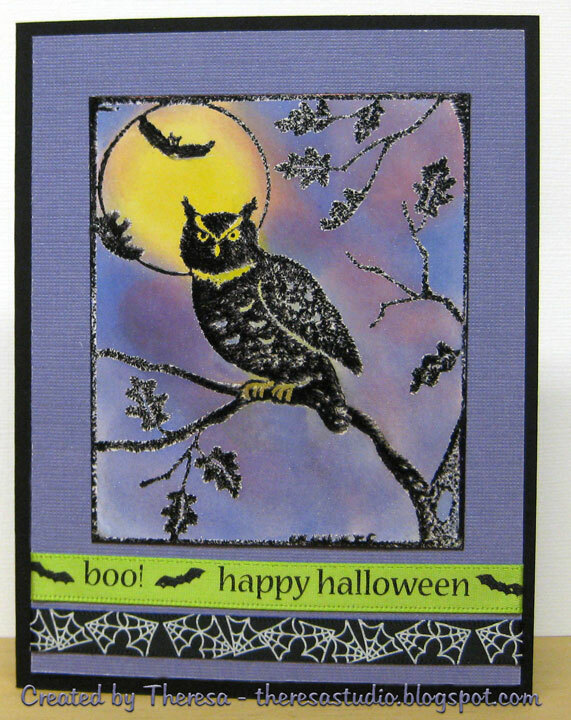 Great halloween cards, thanks for playing along with us at CCCB! These are both beautiful Theresa. Keep taking that hubby to the stamp stores with you! Can't beat him picking out stamps and buying them too! Love your owls! I also see that your Hubby has great taste! 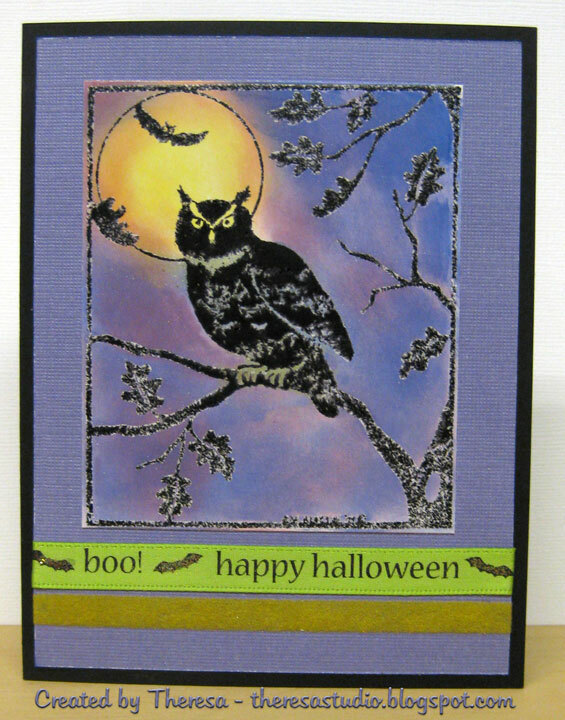 I love owls and this one is fab! Thanks for joining us at Let's Ink It Up!! These are awesome! I think I'll take DH with me to Hobby Lobby and see if he picks things out and pays... what a great idea! fantabulous cards! love that owl!! Thank you for joining us at CCCB! Love your owl cards, thanks for playing at LIIU. 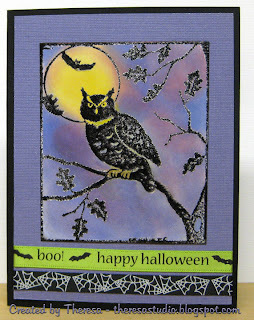 Great Halloween card Theresa and what a great husband you have!! Thanks so much for joining our Really Reasonable Ribbon challenge. Beautiful card! I love the sky!